Imagine my glee when my friend sent me a message alerting me to the very important discovery that Birds Eye has had a crack at inventing microwavable chips. This is a concept that speaks to me on numerous levels. They claim they can deliver a "crunchy" chip in just four minutes. To someone who is big on instant gratification and has a penchant for junk food, this is as big a scientific accomplishment as Neil Armstrong walking on the moon. Think of the delight this could bring to ravenous kids after school and hungover workers in staffrooms around the country. This is basically God's work that Birds Eye is doing. That is either steam or the Holy Spirit coming out of that snapped chip. Both fill us with optimism. Naturally, I dropped everything and bolted to the supermarket to get my hands on this miracle unicorn food, aka Golden Crunch Microwave Chips. They come in two styles: crinkle cut and shoestring, and I purchased a box of both because I'm worth it. I skidded through my front door sideways and got to work. 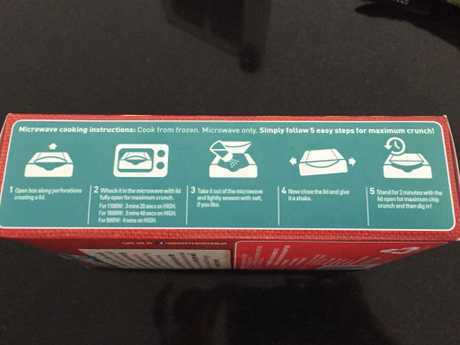 First, you pop the top on the cardboard container and try to work out what the hell wattage your microwave is - which is about as easy as carbon dating the Shroud of Turin. Then you microwave for a very specific length of time (according to that elusive microwave wattage) and salt the chips. Side note: hat tip to Birds Eye for the smooth move of getting a four-star health rating by getting you to add your own salt after cooking. Then you are instructed to wait a long two minutes before the moment of truth. To give credit where credit’s due, they do come in a recyclable cardboard box, so there’s no landfill or washing up. Win. It saddens me to confirm that if something seems too good to be true, it probably is. As my friend so eloquently put it: "These chips taste like McDonald's chips found between car seat and door." Crunch is nowhere to be heard here. Crunch is a distant rumour, a whisper carried away with the wind long ago. In place of crunch they offer chronic indigestion. Many will have experienced the unique throat clogging that comes from eating a cold chip. 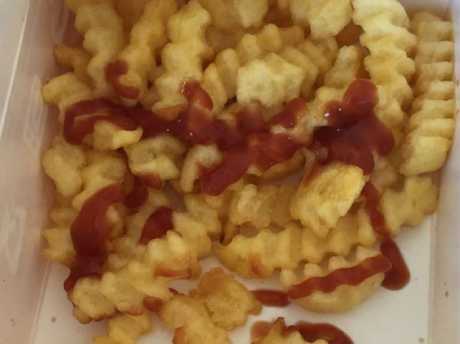 It usually occurs when fish and chips have been lazing in their paper for a while, the nausea from overeating has subsided and you boldly think "yep, I have another handful of chips left in me" … then the indigestion is swift and powerful and you remember for the 700th time why cold chips are not to be trifled with. Referring to ‘maximum crunch’ is just kind of cruel. 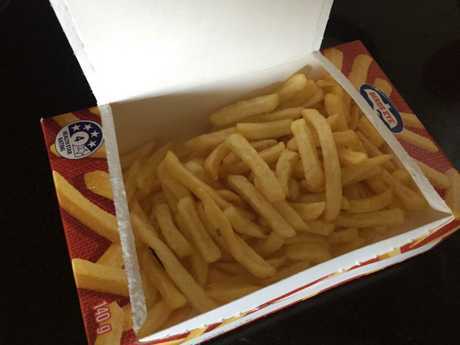 Well, you get that punch in the throat with every mouthful of these chips, even when they are warm (which is a heady combo, having something hot lodged in your oesophagus). 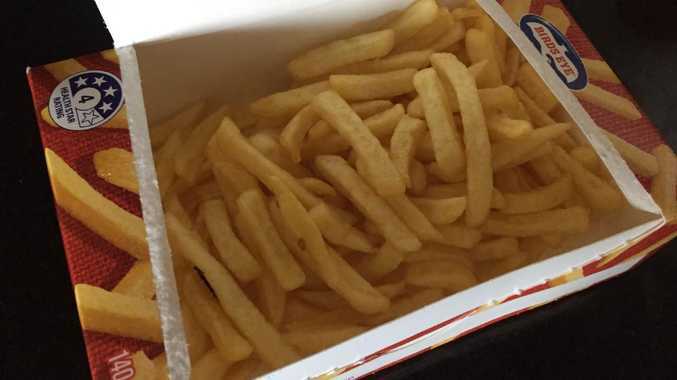 And heaven help you if you have opted for the crinkle cut - the jagged surface area means the chip really grips on to the side of your throat, thumbing its nose at the litres of water you've desperately chugged trying to get it to dislodge. 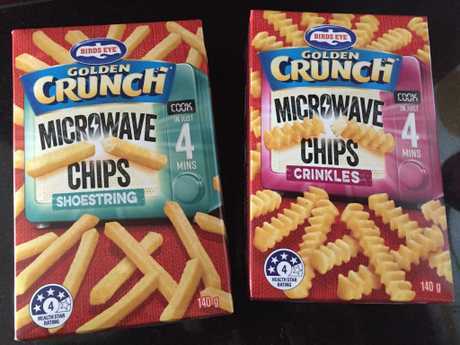 We went onto Twitter to search "microwave chips" to see what the broader reaction has been, and all we turned up was this … which is an interesting insight into Lonna Seibert's life but doesn't really give any feedback on Birds Eye's offering. As anyone who has ever reheated pizza in the microwave will attest, retaining crispiness is not the microwave's strong suit. I called Lauren Egan, who has worked in food science for 15 years, to see whether Birds Eye is trying to achieve the impossible. She says it's almost a happy accident if you ever manage to get any crunch from a microwave. "The waves are finding any little pockets of water in the food and heating those up, so you're going to find it really hard to make anything crispy because in effect you're steaming it," she explains. An exception is something like bacon, which crisps up because the fat content is greater than the water content. Not even a litre of tomato sauce could save this situation. Though she says "to be fair, you probably could crack the code for a crispy chip if you had the time and inclination to get the length of time exactly right for your particular microwave wattage". So what have we learnt? Microwaves are pretty much only good for making popcorn and pappadums, reheating leftovers, getting honey out of a jar and steaming some vegies. And Lonna Seibert has a deliciously decadent treat up her sleeve for when she has PMS. But most importantly, you are better off investing the extra 15 minutes in making a hot chip in the oven, or hauling yourself up to the local fish and chip shop. Good things really do come to those who wait.